View cart “3ft. USB 3.0 A to Micro-B SuperSpeed Cable” has been added to your cart. 3ft. 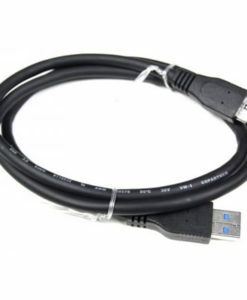 USB 2.0 A to B device cable for USB Hubs or USB to serial adapters that use a USB-B port connection. Plug this cable into your Type-A female host computer port and you’re ready to go. Works with any USB 2.0 device that uses a Type-B connection. Black A to B, certified USB 2.0 High-Speed Device cable works with all USB 1.0 and USB 2.0 devices. The USBG-AB1B is a fully certified USB 2.0 cable with up to 480Mbps Data transfer speed capability. The USB 2.0 A to B cable can be used for USB Hubs, USB to serial adapters, USB printers, scanners or other. The 3ft cable is ideal for close connections to your desktop or laptop computer. Still didn't find what you are looking for? Please use the form below. A leading manufacturer of innovative USB hubs, chargers, serial devices, add-on cards, adapters and cables.